Come celebrate the Fortis Watches Centennial 1912-2012 and check out the F-43 Flieger Limited Edition Chronograph Alarm GMT Chronometer C.O.S.C. at the Dorint Hotel Basel near Baselworld 2012*. 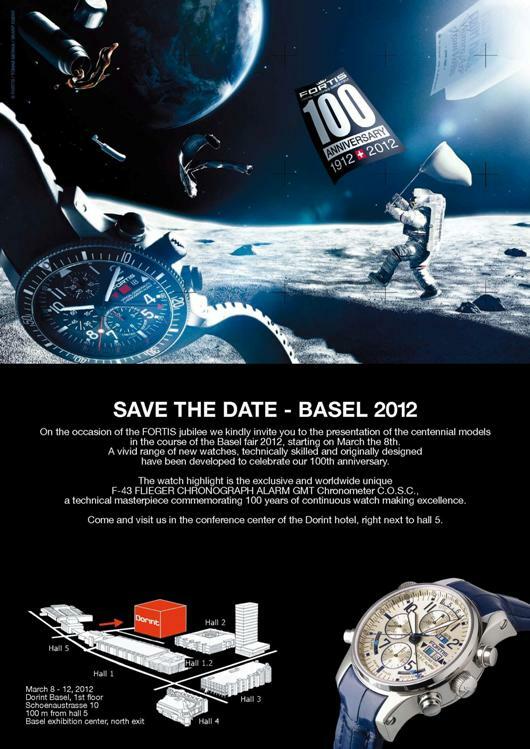 *The Fortis Dorint Hotel Basel exhibit is not affiliated in any way with Baselworld 2012.